So, I decided to get back into modelling for the first time in something like 5 years. I realised that the ships in DS have seen a lot of new-found love in the 2010s but the fighters seem to have mainly fallen by the wayside and are in dire need of an update. 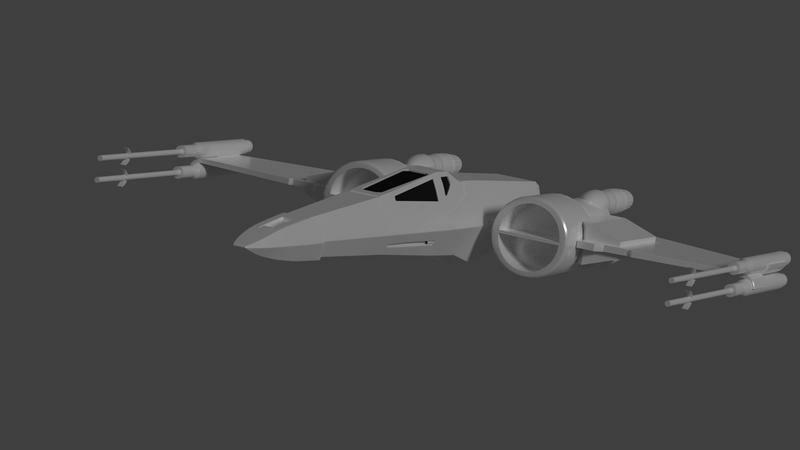 Rather than recycle an old design, I thought I would try my hand at creating an entirely new UGTO fighter, with some ideas lined up for others if this goes down well. If Faustus and Jack greenlight this you could even see it flying around in the game by next month. The model itself is at 85% completion with texturing required to make it look even better, but it's ready and rigged for animation. That's right, animation. Those old-timers might remember the Gaifen� that used to patrol the MV back in the day. They had their waggly tails to add cute charm to their mouth beams. The point is, the engine can definitely support it, so why not model for it too? I used a few sources as indirect inspiration but tried to keep it as grounded in reality as I could. Being a space fighter, some elements of Battlestar Galactica naturally slipped in, but I've also incorporated some of the architectural language of my favourite WW2 aircraft, the P-60 Black Widow being a notable influence. Nice to see a new design after a long time. Would love to see new station models since all stations look the same! Thanks! It just doesn't have that X factor in my opinion. you would think the ugto would go to the z-95 headhunter, give the x-wing to icc and screw the luth, who likes them anyways ??? I'm still going to carry on with it because why the hell not? Its very angular, UGTO ship design is usually anything but, lots of gentle cuves. still though great effort bro. Hokey religions and ancient weapons are no match for a good blaster at your side! Powered by phpBB� Forum Software � phpBB Group Page created in 0.009810 seconds.